The Great Replacement”, stated that “the invaders must be removed from European soil, regardless from where they came or when they came. Roma, African, Indian, Turkish, Semitic or other. 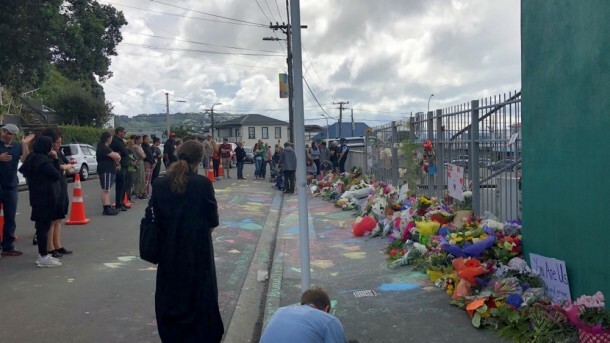 If they are not of our people, but live in our lands, they must be removed.” This is the statement by the white supremacist who along with other accomplished killed innocent worshipers at different mosques in New-Zealand on Friday. Those killed including older people as well as children who had gone to pray in the mosques. The terror attack on these mosques in a relatively tiny and peaceful country reflect major challenge for all the people as how Islamophobia is growing faster in relatively peaceful societies. If it was in the United States, Great Britain or France, I could have understood a bit but when it reach the peaceful shores of New-Zealand then it send a warning signal, a new reality of today’s world whether Islamophobia is growing silently in the Western world with an active role of media portrayal of the events happened recently. Several years back we witnessed such a mass shooting in Norway which shocked the peaceful Scandinavian nation but the Newzealand killings have send shock waves across the world. While there is a unequivocal condemnation of the incident yet western media still fall short of a categorical terminology for such a ghastly crime. ‘Suspect’, gunman, shooting are the terms used by the media. Now, this is a terror incident and the terrorist happened to be an Australian white who hate immigrants. It is tragic that the US President is not alarmed by the growth of white supremacists threatening the immigrants everywhere and his own policies have contributed a lot. After Trump’s elevation to power the United States witness many hate crimes particularly against the African Americans. In India crime against minorities particularly Muslims grew with active encouragement of the ruling party and its leaders who actually need Muslims to get their votes through polarisation of the votes. Amidst all this, the best could be reflected by the statement of the Prime Minister of New-Zealand Ms Jacinda Ardern who not only assured that the nation would remain proud of its religious and ethnic diversity but also not allow their place become a center for harboring hatred. You can see how the police responded to the entire issue and people irrespect of their nationalities and ethnicities expressed shock and grief. “Our thoughts and our prayers are with those who have been impacted today. Christchurch was the home of these victims. For many, this may not have been the place they were born. In fact, for many, New Zealand was their choice. The place they actively came to, and committed themselves to. The place they were raising their families, where they were part of communities who they loved and who loved them. It was a place that many came to for its safety. A place where they were free to practice their culture and their religion. For those of you who are watching at home tonight, and questioning how this could have happened here, we — New Zealand — we were not a target because we are a safe harbor for those who hate. We were not chosen for this act of violence because we condone racism, because we are an enclave for extremism. We were chosen for the very fact that we are none of these things. Because we represent diversity, kindness, compassion, a home for those who share our values, refuge for those who need it. And those values, I can assure you, will not, and cannot, be shaken by this attack. We are a proud nation of more than 200 ethnicities, 160 languages. And amongst that diversity we share common values. And the one that we place the currency on right now — and tonight — is our compassion and support for the community of those directly affected by this tragedy. If we compare it with the leadership back home who find no time to even mention those killed in mob lynching. The Muslims and Christians in India have a history of several centuries as they came here nearly in the seventh century so they are no immigrant but part and partial of this soil. Many of those who were humiliated in the caste system embraced Islam and Christianity for their spiritual liberation but India’s right wing has not accepted them and want to send them to Pakistan. The New Zealand Prime minister address press, assured minorities and immigrants saying that was their home and their country is proud of them. Mark her word and pain getting reflected and there is a concern world over in the Western World about the growth of white supremacists but back home in India we do not feel any concern about the rise and growth of the brahmanical fascism which want to maintain the hierarchical caste order and target the minorities directly. Isnot it ironical that the Hindu Mahasbha people celebrated the rise of Trump, his birthday in hope that he will eliminate the Muslims. A few days back they celebrated the birthday of Queen Elizabeth while abusing Gandhi and enacting drama of his killing. We did not find the government and its machinery feeling outrageous on this as they feel rise of Trumpism is basically anti Islamic but if they see the neo fascist growth in Europe, they hate everyone, the blacks, the Romas, the immigrants which include Hindus and Muslims both. The Christchurch incident is a reminder of dangers of majoritarianism which is bound create further poliarisation. Politically it may suit some right wing groups anywhere including India but in longer term if will be defeat of democratic polity if we are unable to contain such hatred constitutionally and legally. It is time for stronger international mechanism against such forces which get legitimacy through democratic process and winning elections. The world need to unite and find ways and means to defeat such forces ideologically, democratically as well as through well built international mechanism so that hatred does not become a tool to win elections. In the meanwhile, we stand in solidarity with all those who are peace builders and believe that this planet is meant for all of us irrespective of her gender, caste, region and nationalities and we all have to protect it. Let us work harder to defeat hatred which is only possible through building bridges and respecting people’s right to chose their faith and live life on their own. States need to protect law abiding citizens and stop the mob mentality and those holding kangaroo courts in their TV studios. They need to be made accountable in the greater interest of democracy and human rights.